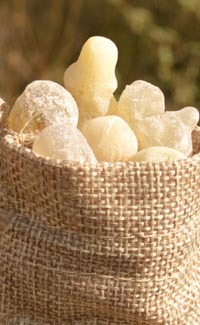 The finest frankincense is Royal Hojari of Oman. Here is the finest citrus, black and rare green, the Emperor of frankincense. Pure essential oil distilled from ethically and traditionally hand-harvested organic, pure resin from the Dhofar region of Oman. 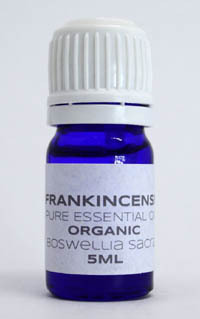 The many benefits of frankincense oil can be obtained by applying it topically, inhaling, using a diffuser or ingesting small amounts. For pain relief simply massage the affected areas. 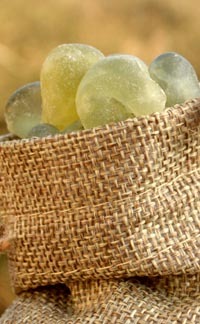 Add to bath water for a rejuvenating and deeply cleansing soak. 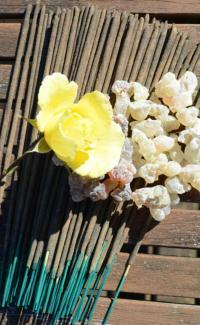 Frankincense oil can be used as it is or blended with carrier oils such as jojoba, sweet almond and avocado. 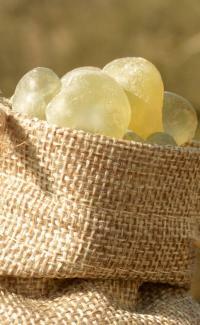 Traditionally harvested organic, pure resin in a reusable biodegradable hessian drawstring bag. 3. Research suggests it fights cancer. Successful at killing chemo-resistant cancer cells. First grade, large tears full of fresh and sparkling citrus notes; light, ethereal and airy, a wonderfully refreshing frankincense. 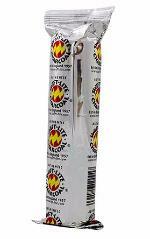 As well as the many health benefits, this frankincense will cleanse your crystals and aura, protect your home and enliven your mind and senses. 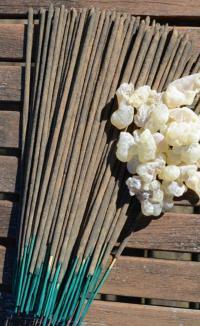 This incense is unique in that it is made without oils and a scented base, it smells exactly like frankincense resin because that's all it is. 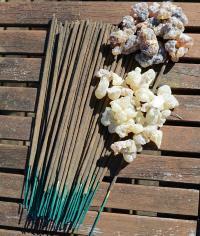 All the benefits of real frankincense with the convenience of a stick. Average burn time of 40 minutes.